Kleinburg Diaries: It is Cake Smash time! 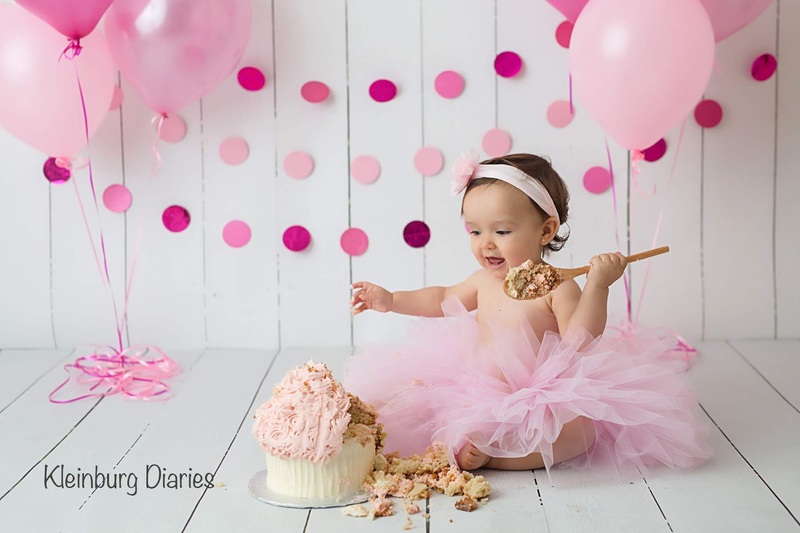 It is Cake Smash time! 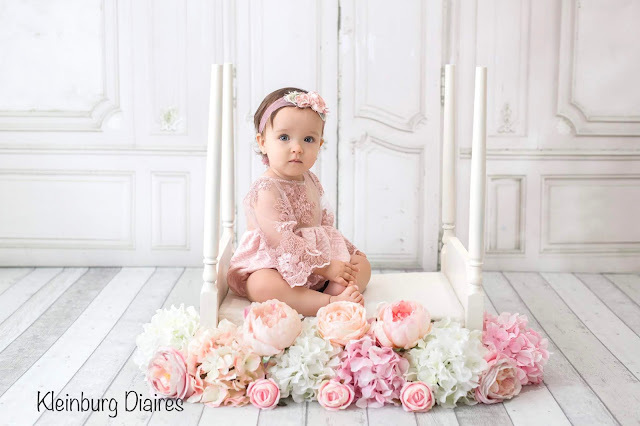 I can't believe how fast the first year has gone by. It feels like it was just the other day that we were bringing our newborn baby home from the Hospital. 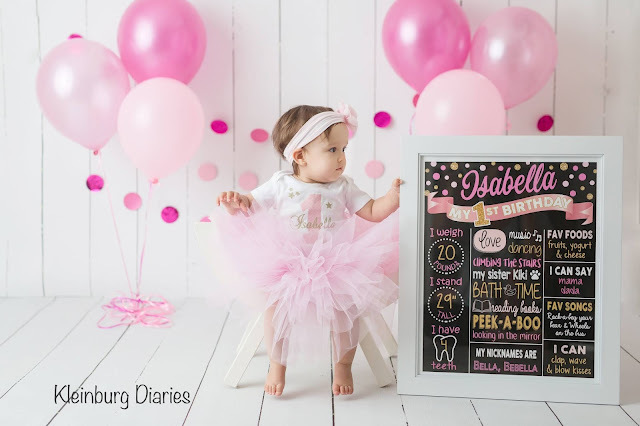 Isabella had a great time during her birthday party (check here),... she played with her friends and had lots of carrots. She was so excited that she didn't nap a bit! After celebrating Isabella's 1st birthday, it was time to look into the "Cake Smash thing". I think it is adorable to see the pics of the little ones having fun with a cake. Little did I know that most of time the cake smash photo session should take place before the 1st b-day party,... oh rookie mom!!!! 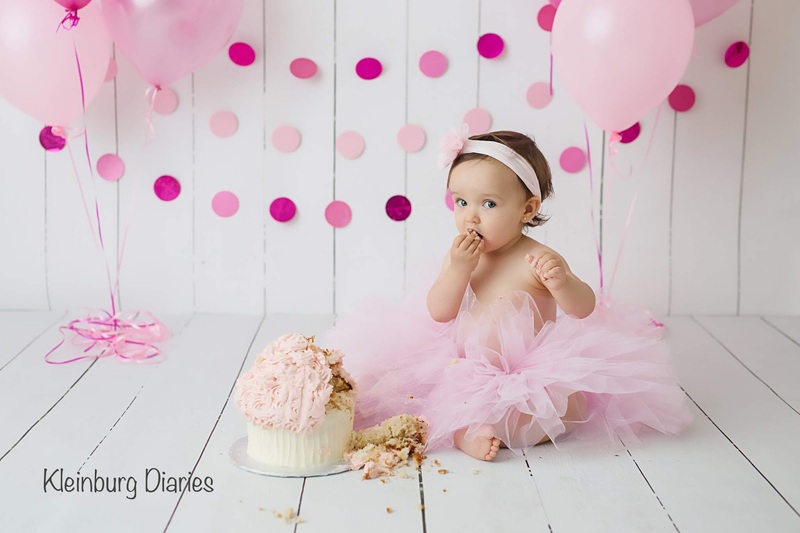 For those who (like me) don't know, a cake smash photo session consists of a baby literally smashing a beautiful cake and making a controlled mess. 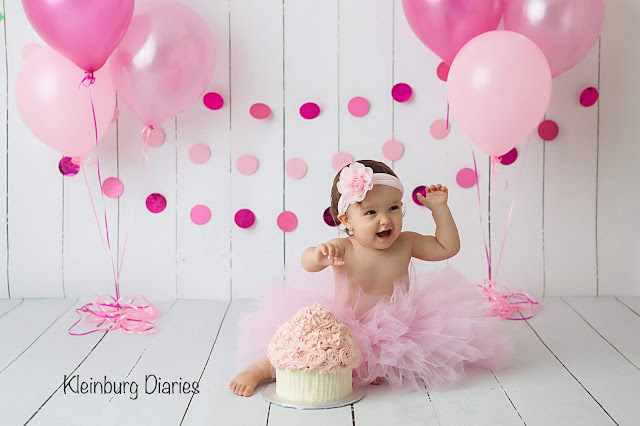 As I mentioned, it is a sweet mess (pun intended)! 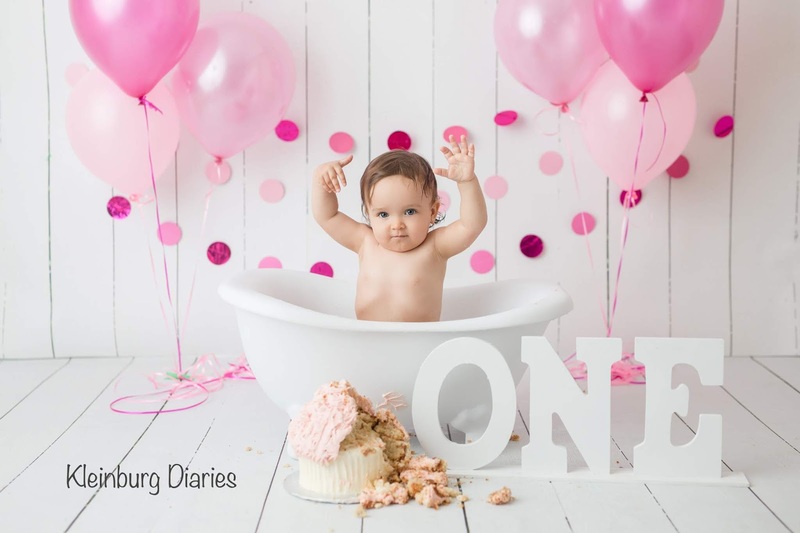 We chose the package that started with the Milestone pictures (1 year old), then the Cake Smash when Isabella got in touch with the cake and had a blast and wrapped up with a relaxing Bubble Bath. I wanted a cake that looked like a giant cupcake and the ladies from Mangia Cake Desserts did a great job! It was beautiful and yummy. This was the first time that Isabella tasted sugar. 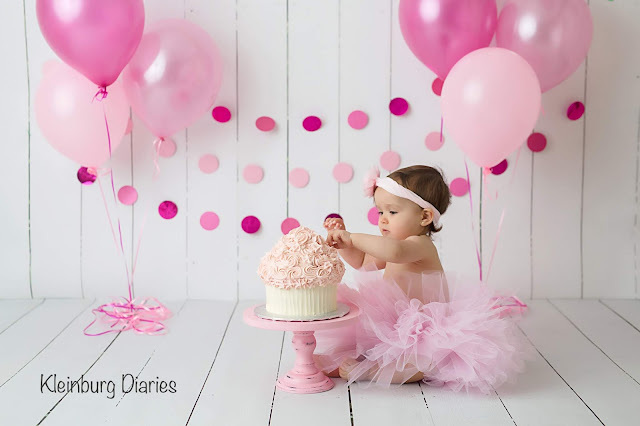 As for he theme, I love the clean backdrops with all possible shades of pink. Another prop that I wanted was the large letters that spell out ONE. We took the Birthday board with us, it was made for her Birthday party and now it is in her nursery. 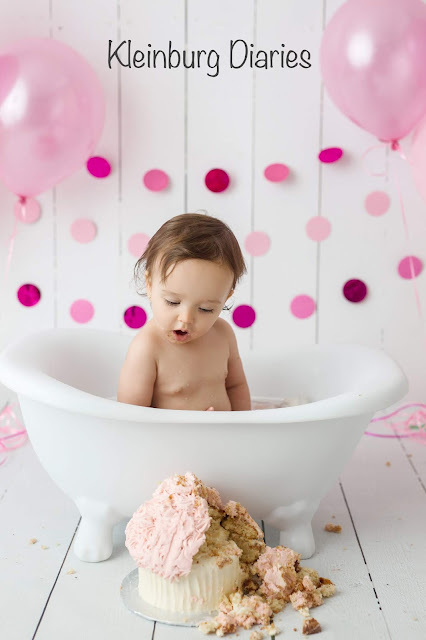 So,.. did you like Isabella's Cake Smash Session?